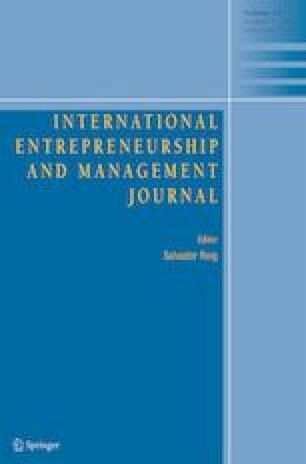 Scholars have long studied drivers of entrepreneurial behavior among established firms. Yet little is known about how individual factors shape a firm’s choice to pursue entrepreneurship. We draw on behavioral agency theory to explore the role of equity incentives in driving corporate entrepreneurship. Our findings suggest CEOs avoid corporate entrepreneurial behaviors as their option wealth increases. However industry dynamics also prove to be an important contingency when predicting the effects of both restricted stock and stock options on the likelihood that the CEO engages in corporate entrepreneurship. Our findings provide a theoretical platform for predicting dimensions of entrepreneurial behavior and highlight effects of CEO equity ownership. Capacity action – Actions that increases or decreases the company’s ability to produce products or deliver a service. For example, opening new production facilities, closing facilities, investing in new business, etc. Alliance action – Actions that involves forming strategic alliance or partnership with other firms. Merger and Acquisition action – Action that involves acquiring other firms or merging with another firm. Restructuring action – Actions that involve changes in organizational structure. For example, combining business units, spinning off business units, reorganization, etc.